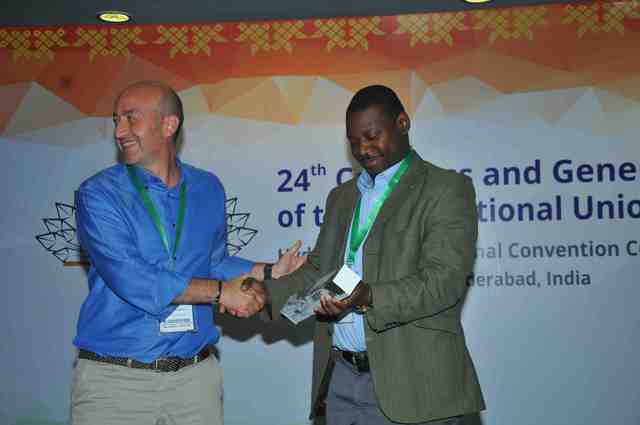 The inaugural public meeting of the Lightsources for Africa, the Americas and Middle East Project took place during the Hyderabad Congress. Participants at the inaugural public meeting of the Lightsources for Africa, the Americas and the Middle East Project. 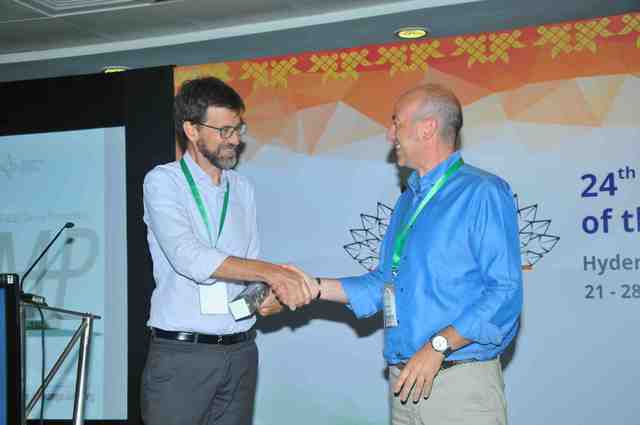 Opening remarks by Michele Zema, IUCr Outreach Officer. Welcome from Marvin L. Hackert, IUCr President. Daniel Nyanganyura, Director, ICSU Regional Office Africa. Sandro Scandolo, International Centre for Theoretical Physics. 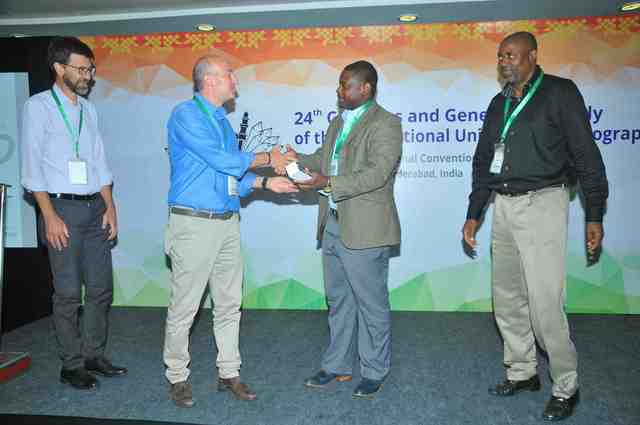 Jean-Paul Ngome Abiaga, Deputy Director UNESCO International Basic Sciences Programme. 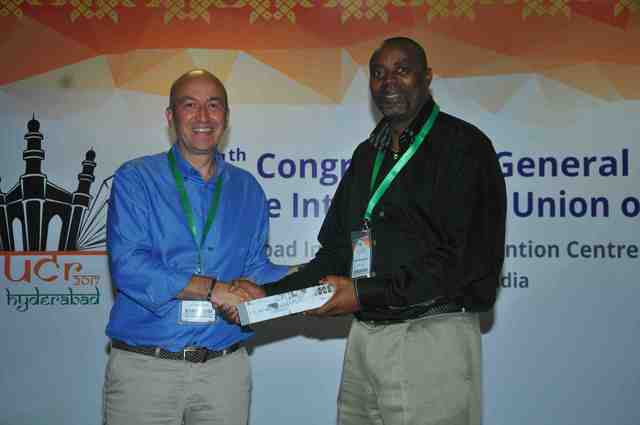 Michele Zema, Gautam Desiraju (IUCr Immediate Past President). Aldo Craievich, U. São Paulo. Richard Garratt, São Carlos Institute of Physics. Sandro Scandolo, Michele Zema, Jean-Paul Ngome Abiaga, Daniel Nyanganyura. Michele Zema, Jean-Paul Ngome Abiaga. 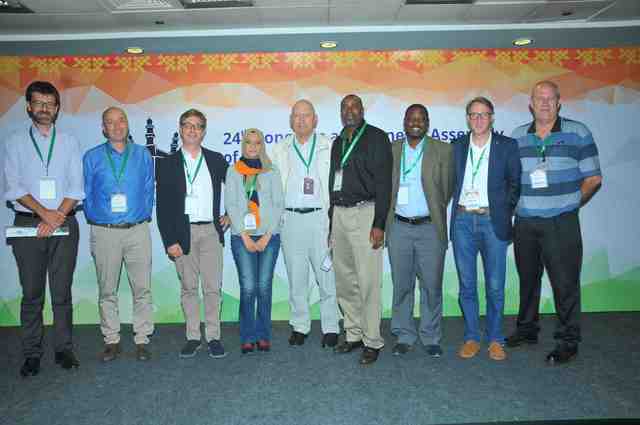 Sandro Scandolo, Michele Zema, Andrea Lausi, Gihan Salah Kamel, Aldo Craievich, Daniel Nyanganyura, Jean-Paul Ngome Abiaga, Richard Garratt, Andreas Roodt.